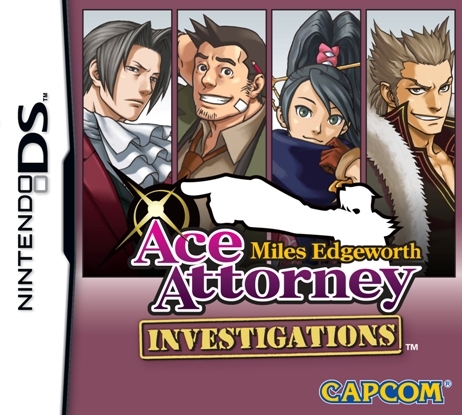 I have loved the Phoenix Wright Ace Attorney gaming series for the DS, and here comes a spin-off for Miles Edgeworth, the prosecutor rival of Phoenix's. This game will allow us to see into the prosecutor's side of things, and along the way, introduce some new gaming features! The design of the box is consistent with the other games, which have windows and shows the main characters of the game. The only familiar face is detective gumshoe, and two new characters we have not met before, both look very interesting! We shall have to find out. If you like collecting the games, this is definitely one to get! The first chapter is a simple tutorial for those who have not played the series before, showing them the ropes as they say, but quickly escalates into a full chapter and poses many challenges as well. A major difference is that you now control an avatar that can walk around and investigate things, as well as incorporating examination techniques found in previous games. It is much more a "role playing game" now, although apart from this, there is not much change to long term fans of the series. There are also new methods to investigate which includes "Logic", "Crime Reproduction Gadget" and "Rebuttal", which all add to the game play, making it more dynamic and interesting. The game is in no way easy, and many a time you face difficulties and will become stuck. Hey, I was stuck early on in the first chapter!! But the fulfilment in passing these obstacles is amazing, and the way the game is made, there are many of these tricks and red herrings that you just have to take a risk! One slight criticism is that sometimes the clues you present DOES make sense, but you get penalised for it only because there is a slightly BETTER place for you to present it. Nonetheless, it is a cleverly made game that is exciting and fun to play. What I love about these games is that we will find out the truth, and when we do, it all makes sense. It is like the end of a CSI episode when all is revealed and you go "Ahhh, that's how it was!"... This game reveals it in a cunning a sharp way and ends each episode in a gripping way. As with previous games, graphics are not extremely top notch, but it doesn't have to be. The manga style present thus far suffices and along with interesting and exciting animations, create a really immersive world with great attention to detail. The sound is not bad, but not necessary either... It is considerably better than most games, but not one you need on. For me, what got me into the whole series was the animations and humour, along with the perfect CSI-esque game play. Whilst working through the investigation, slowly the truth emerges, and everything fits into place. Everything makes sense, and you go WOW, how clever! 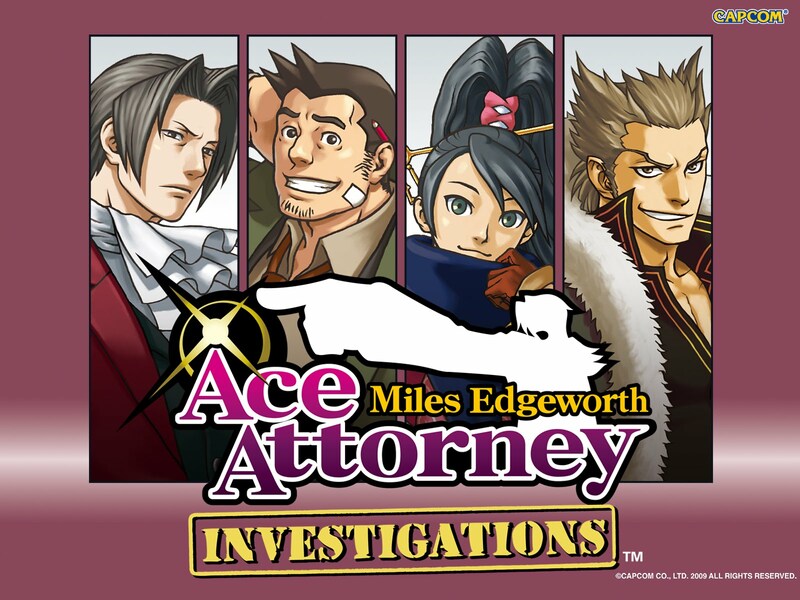 This game is no different, and maintains the style and prowess the other games brought to the gaming market, this time with a twist that you are the prosecutor. I'm sure many fans will like this as I have and I await to see a sequel to this game. Personally, I much prefer Phoenix Wright and they really should've kept that series going, but I also like their development on the other side of the fence, and taking a go at prosecution is also quite fun. What they should've done was have a game released as both prosecution and defense, which would be quite interesting... but nonetheless, this is a solid game that fits into the Ace Attorney series exceptionally well in all aspects.